This year marks the 100th anniversary of the birth of Billie Holiday, one of the most influential jazz vocalists in music. On April 7, Cassandra Wilson released her interpretations of the Holiday songbook on Coming Forth By Day. Last year Canadian vocalist Molly Johnson released the personal but slightly uneven tribute to Lady Day called, Because of Billie. 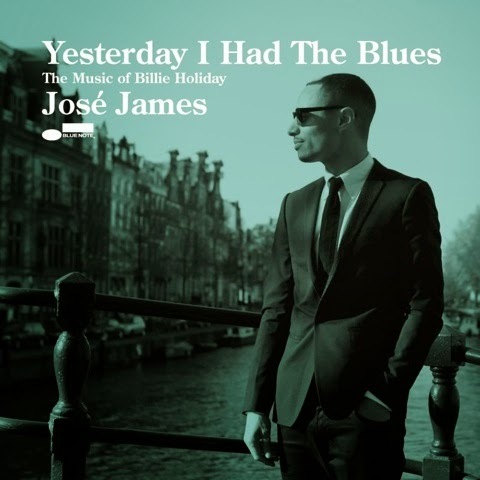 And while José James isn't a household name I think his tribute to Holiday may actually nudge the male vocalists in the jazz world to cover the famous torch singer's most popular songs. Yesterday I Had The Blues (Blue Note) has all the makings of an arranged marriage between singer and song, but producer Don Was goes a step further by creating a real blues record that is thoughtful and well paced. James’s soulful renditions are backed by some of the most articulate and seasoned musicians today. Jason Moran, piano, John Patitucci, acoustic bass and Eric Harland, drums, is a trio that pushes and pulls the music while maintaining a solid foundation on which James can feel the lyrics. His first rate version of “Strange Fruit” uses multi-tracking in way that completely re-invents the song. What was once a call to the injustice of black Americans in 1939 when the song was first heard, now becomes a work song fresh from the cotton fields of the 1800s. For James, the music of Billie Holiday has deep roots going much further back in time. 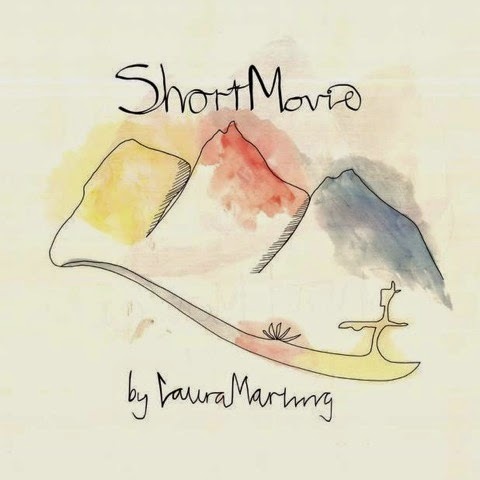 In an effort to express conditional love, Laura Marling's superb album Short Movie (Virgin) offers up a litany of reasons to break relationships. But she does it with 13 personal songs exclusively from her point of view. This album could be 2015's version of Joni Mitchell's Blue (Reprise) featuring the cold, hard truth about heartache, anger and loneliness. Marling’s careful phrasing has dashes of humour and is completely free of cliché. I didn't think that was possible for the 25 year old, considering the thousands of songs written about love in the last hundred years, but Marling has done it with exquisitely arranged songs and well positioned prose. Short Movie is a refined record in the spirit of Nick Drake and the aforementioned Mitchell, so put all your Taylor Swift albums away: time to graduate. Benin-based singer and humanitarian Angelique Kidjo is front and center on her new release simply entitled Sings (429 Records). Supported by the Orchestre Philhamronique du Luxembourg (OPL) conducted by Gast Waltzing, the album presents Kidjo with an orchestra that sounds as big as Africa. Most of the songs are from Kidjo's early works including a striking version of “Fifa” first heard in 1996. But the strength of the album is Kidjo's soaring vocals on “Malaika” complemented by the ballads “Nanae” written for her daughter and a really nice version of the Sidney Bechet classic, “Petite Fleur.” But in spite of the richness of her singing with a 110-piece orchestra, I found some of the sound mixes uneven. Sometimes the orchestra was too loud for Kidjo in spite of the careful arrangements. Nevertheless it's a triumph of substance over style most of the time. Thanks for these reviews, John. Two of these are now on my "to buy" list. Three, if you count the Cassandra Wilson.